Welcome to a marvelous opportunity to expand and deepen your connection to Spirit while you transform your life and the lives of everyone you touch! 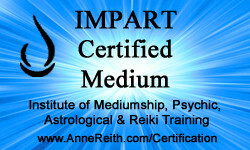 The Institute for Mediumship, Psychic, Astrological, and Reiki Training (hereafter referred to as IMPART) is proud to offer you Certification Programs with specialties for Psychics, Mediums, and Healers. The above images are examples of the IMPART Certification Badges that all IMPART Certified graduates receive. They can be posted on the graduate’s website or social media sites in order to build the trust and credibility necessary to build their client base. 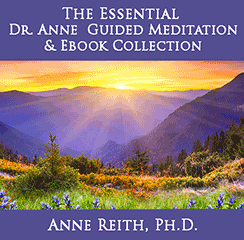 Why choose Dr. Anne Reith as your teacher? Receive the best training available. 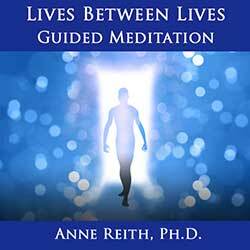 Since beginning her metaphysical business in 2002, Anne Reith, Ph.D., has become a highly respected master teacher in the fields of psychic development, mediumship, channeling, Reiki, and Karuna Reiki®. 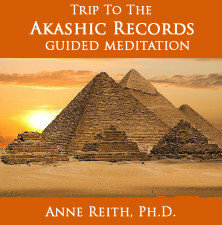 Anne is a Psychologist with a 40-year background in teaching. She has been a tenured faculty member at several major universities. Anne combines her experience as a teacher/educator in the psychic and healing arts with her background in psychology and teaching to help her students learn how to access and use their psychic and healing abilities to improve the quality of their lives and the lives of everyone they touch. How might you personally benefit by completing one or more IMPART Certification Programs? You may be surprised to learn that the majority of the students who enroll in Dr. Anne’s IMPART Certification Programs are not planning to work professionally. They simply want to develop their ability to connect with Spirit and help themselves and their loved ones lead happier, healthier, and more fulfilling lives. Enrolling in a Certification Program “gives you a track to run on” and assures you that by the end of your program, you will feel confident in your abilities. Learn how to access Divine Wisdom and/or Divine Energy on a daily basis, which provides you with compelling clarity in every area of your life. Be inspired and empowered by the presence of other like-minded students as you work toward attaining your heart’s desires in a safe and compassionate environment that enhances your personal and spiritual growth. 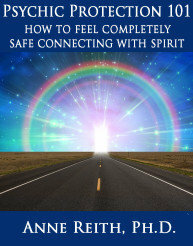 Learn how to access and send healing energy to yourself, your family members, and your friends at any time. Clarify your life’s work/mission, which leads to feeling an increased sense of joy, excitement, and a deep sense of peace and satisfaction with your life. Gain peace of mind and a sense of satisfaction from knowing that you truly can make a difference in your own life, as well as the lives of others, by using your psychic, mediumship, and/or healing abilities. Learn how to believe and trust in yourself on a deeper level so you are empowered to make decisions that are right for you. Gain the skills and confidence necessary if you decide to pursue this work as a professional psychic, medium, healer, or spiritual teacher/coach (see next section). How might you benefit professionally once you are an IMPART Certification graduate? If you are interested in working professionally as a psychic, medium, or healer, completing an IMPART Certification Program adds tremendous value toward your new or existing professional practice. Developing your abilities through IMPART’s Certification Programs provides much more value to your clients, and as an IMPART Certification graduate you will receive support in marketing your business to prospective clients and students. 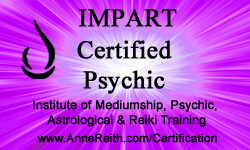 In fact, many of Anne’s IMPART Certification graduates have opened their own successful professional practices as psychics, mediums, healers, spiritual coaches, and metaphysical teachers. 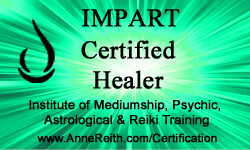 For those seeking to work professionally, Dr. Anne has designed the IMPART Certification Program to be a well-rounded, “real world” program that not only helps students to develop advanced psychic, mediumship, and/or healing abilities, but also teaches students how to set up and run a successful, profitable business. In addition, Dr. Reith covers much needed “people skills,” such as how to work with difficult people, how to assist those who are grieving, and how to deal with someone who is in deep emotional pain, to name just a few. Therefore, once you complete all of your required IMPART Certification Program classes, you will be well-prepared to deal with the diverse and often challenging issues that come up within your business and in your life! Certification graduates are supported in building your professional practices by receiving a FREE listing on the IMPART Certified Psychic, Medium & Healers online directory. This is viewed by thousands of visitors every month who are specifically looking to work with an IMPART Certified Psychic, Medium, or Healer. Certification graduates have the assurance that individuals or organizations can contact IMPART to verify the completion of your certification. 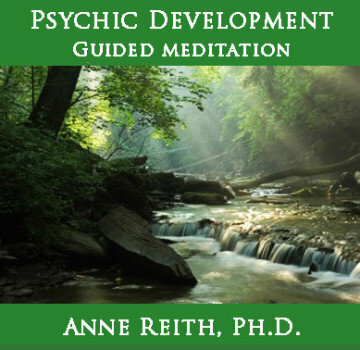 Certification graduates receive a beautiful Certificate as a IMPART Psychic, Medium and/or Healer signed by Anne Reith, Ph.D., which can be framed and displayed in your home or office. Certification graduates can elect to rent space to see clients or hold classes/events at the Impart Wisdom & Wellness Center (IWWC). Holding your sessions or healings in the beautiful setting of the IWWC increases the professional credibility of practitioners. 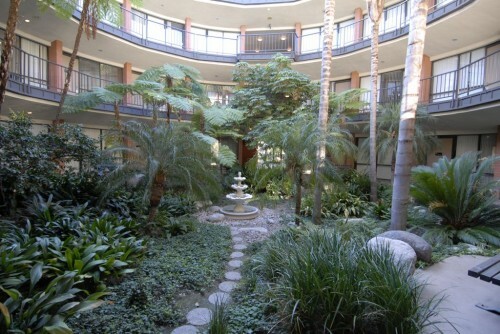 It also provides a serene, positive environment that clients/students will enjoy. This increases the chances that they will want to return to see you as an ongoing client and/or refer other to you for sessions or classes/events. Certification graduates who are working as psychics, mediums, healers, or spiritual coaches may elect to become part of our Featured Practitioner Marketing Program at the IWWC. By doing so, they have the opportunity to receive reduced room rental rates. They also are eligible (a) to advertise their services in the IMPART Weekly Words of Wisdom Newsletter and (b) to place their business cards in the IWWC lobby. 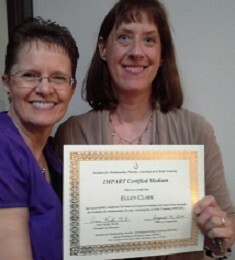 Certification graduates will attract more clients and gain the respect of colleagues because they will know that you have received your training and certification from IMPART Founder, Anne Reith, Ph.D., one of the most highly respected metaphysical and healing arts teachers in the Southern California area. What program benefits are included in the IMPART Certification Programs? Certification students are given priority over non-certification students when preregistering for space-limited classes (e.g., higher-level Reiki and Karuna Reiki courses). Due to class size limitations, many of Anne’s classes sell out. Therefore, being an IMPART Certification student provides you with the best chance of being registered into a class that you need for your certification. Before scheduling her weekend workshops, Anne asks her Certification students for feedback regarding which dates work best with your schedule. Certification students have access to IMPART’s Certification Program Advisor, who is available to go over your progress toward completing the classes you need for certification. She is also available to answer any questions you may have throughout the program. 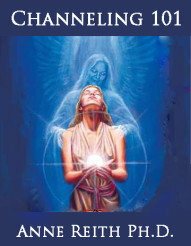 Certification students are provided with a special IMPART Certification binder and tracking worksheets that provide the necessary structure, focus, and accountability needed to get on track, stay on track, and to ultimately reach your goal as an IMPART Certified Psychic, Medium and/or Healer. 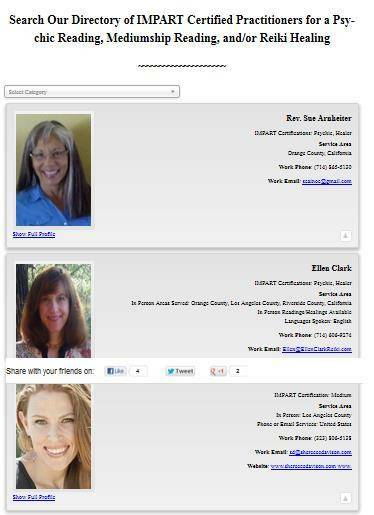 What are Anne’s Certification graduates saying about the IMPART Certification Program? How do you get started in the IMPART Certification Program? 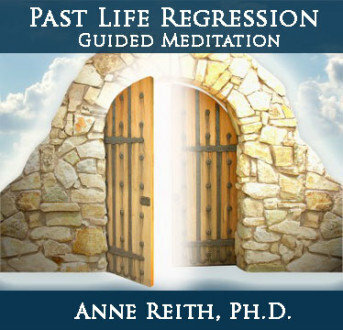 To get started, please contact us at Anne@AnneReith.com or call (714) 599-0017. I make my living with my credible reporting of provable observational facts. Fear, skepticism, and self-doubt were powerful adversaries to my participation in a Psychic Development class. The information she provided on protecting ourselves was invaluable, and my fears were quickly dissolved by the professional, organized content and structure of the course. I found the class to be a realm where all could feel comfortable. Not only are the classes informative, but Anne creates an atmosphere of open-minded, non-judgmental, intelligent conversation were I soon found camaraderie in shared experiences with other students. The knowledge I gained shed light and recognition into the everyday communications that surround our lives that we either second-guess or completely disregard. My thanks to Anne for turning on the light.